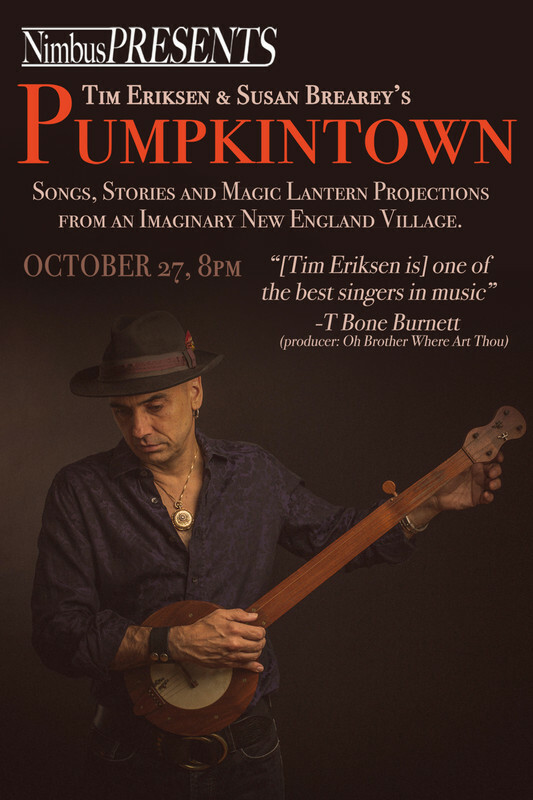 This Weekend: Grammy-nominated Tim Eriksen and Artist Susan Brearey bring Pumpkintown to Nimbus! Grammy-nominated singer and musician Tim Eriksen casts a spell – transporting audiences to another place and time: an Americana through the looking glass, where the village is imaginary but the music is real. With haunting images by Susan Brearey projected through a Magic Lantern, and the backing of percussionist Peter Irvine, be immersed in a world at once imagined and deeply true: shape-note harmony by the first published Native American composer, fiery Scottish fiddle tunes, apocalyptic Afro-Celtic gospel, traditional and original songs of war, the sea, traveling, tragedy and love, that tie it all together. 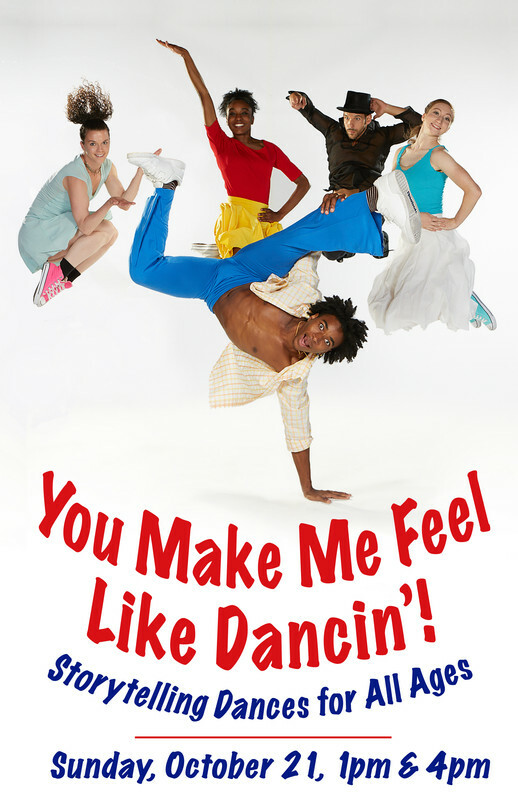 This Sunday 1pm & 4pm: Dance for all ages at Nimbus! NimbusPRESENTS an afternoon of fun, colorful, energetic, narrated dances for the whole family to enjoy. Featured on the program are: Madeline Cantor's "Honor Among Thieves" - a raucous coming-of-age story based on a Swedish fairytale, Elena Valls' "From Brazil with Luv" - which uses Capoeira, Samba and Hip Hop dance to tell of a group of factory workers in Brazil, and Pedro Ruiz's "Danzon" - using Cuban music and dance to tell a story of elegance and romance. After each performance, youth audience members are invited to meet and take pictures with the cast. 1st NimbusPRESENTS performance of the season! OFFLINE is a series of curated performances presenting the work of emerging to mid-career choreographers from the New Jersey/New York area. 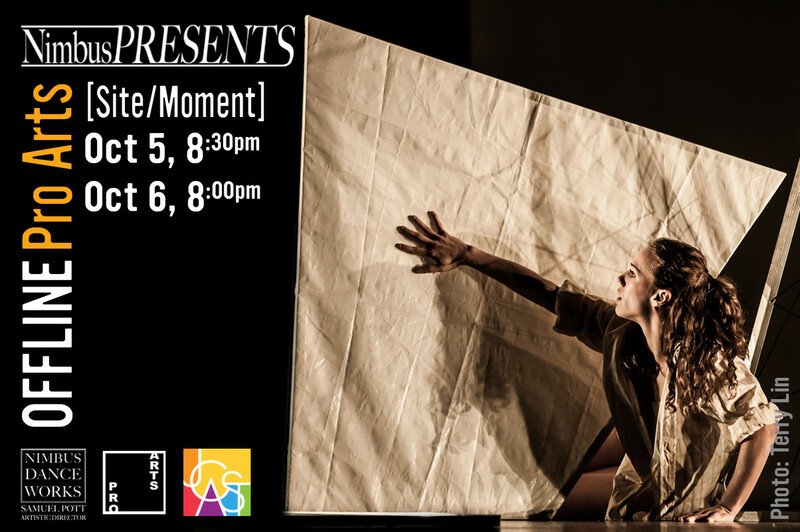 OFFLINE Pro Arts [Site/Moment], features choreographers whose work demonstrates a multidisciplinary approach. Curated by Stephanie Daniels (of Pro Arts Jersey City) and Samuel Pott (Artistic Director of Nimbus Dance Works), the performances include an art-installation/site-specific dance collaboration between Gwendolyn Gussman and Bithika Adhikary, and works by Nimbus resident choreographer: Sofia Nappi (Komerebi Collab), and by selected choreographers: Alison Cook-Beatty/Alison Cook Beatty Dance, Rebekka Nodhturft/Awaken Dance Theatre, and Quashierra Muhammad. Following each show, Samuel Pott and Stephanie Daniels lead an artist talkback with participating choreographers. In Nimbus' gallery space Pro Arts Jersey City presents an exhibition curated by Kerry Kolenut featuring the work of Ed Fausty and Winifred McNeill. Thursday, November 1, 7pm - FREE PERFORMANCE!